profile with silver inner and outer sight lines. Poster frames available in Black & Silver, Pewter & Silver and Silver & Black. 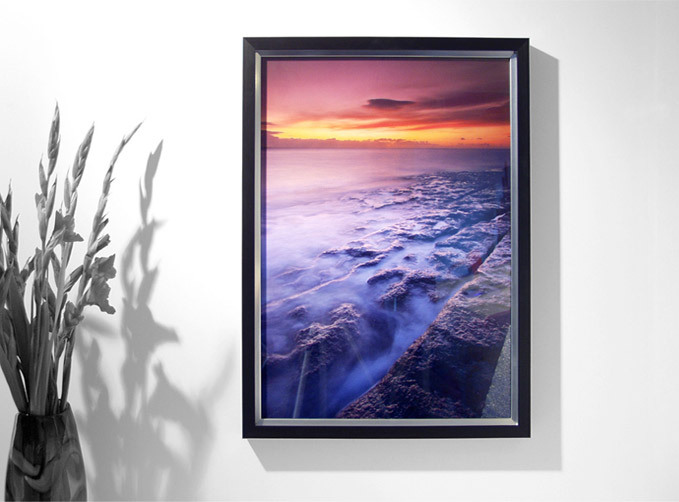 Create your personal one-off art piece with your own digital image onto our exciting Framed Photo Poster. All our gallery images are available as Framed Photo Poster.